The first few weeks of the second semester have gone by fast. These new classes are refreshing and offer a whole new take on patent law. The most dramatic difference so far has been in our capstone class where we have been paired with industry mentors who will review all of our assignments. Their feedback will be instrumental as we craft our final patent application. It is helpful having someone who you can go to with complicated questions and needed advice along the way. As many of the bloggers mentioned, writing a good set of claims is a form of art. Having an industry mentor allows you to see a completely different artistic style as well pick up helpful tips they have learned through their careers. In our other classes we have already covered several interesting topics. Claim interpretation, figuring out how a set of claims impacts the potential infringement of an article, so far has really interested me. Claim interpretation is almost entirely an exercise in argument between the two sides over the meaning of words and the use of punctuation. Patent Litigators, individuals with a law degree, argue before each other, judges and a jury about all of these things. In the end, millions of dollars have been spent (typically) and the entire landscape of an industry may change. For example, in recent years Samsung has had to pay out around $1.2B to Apple in patent disputes over their competing technologies, according to Forbes. Last semester we spent a good amount of time working on claims for physical devices but not much time working on what are called “method” claims. Method claims protect a certain way of doing things to achieve a specific, new and useful result. This semester we have a whole series of assignments directed to constructing these special claims. This experience will be very useful for many students since their capstone projects require the use of this type of claim. When would a method claim be useful? Well, suppose that you decided to try to use engine degreaser to ward off the pesky ants persistently attempting to infiltrate the crack under your front door. Much to your amazement the ants, and all other insects for that matter, never came near your door again. Suppose you wanted to patent this newly found miracle ant repellant. Well, you couldn’t get a patent on the actual ant repellant since it was just some engine degreaser you had lying around. What you could attempt to do however, is obtain a method patent on the new and useful method of spraying engine degreaser on areas to repel ants. Writing claims to protect methods is very different and in many senses more difficult since you are not claiming a physical article and instead a process. In general, this semester is geared towards getting us ready for the day-to-day life of being a patent agent. We are routinely turning in assignments simulating those we will have at our jobs in a few months. As an engineer, I really appreciate having the opportunity to practice the legal writing and formatting skills many take for granted. One last piece of exciting news is that being a patent agent was just rated the #4 on CNN’s “Best Jobs in America” list. This is great news for the MSPL students and only reaffirms our excitement to join the field. 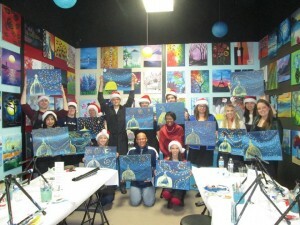 After a few weeks of winter break the Notre Dame MSPL students have returned to lovely South Bend, Indiana. Strike “lovely.” If you know anything about the Great Lakes region, where Notre Dame is located, you know that January is not the most pleasant month of the year for this area. In fact, it is quite snowy…and cold…and at times…miserable. But as we return, we have started to reflect on last semester and how far we’ve come. We have had some great opportunities and have created some lasting memories with one another. One particular conversation I had with another MSPL’er was about our Patent Law and Prosecution professor last semester. Professor Mike Wack—we both agreed—would have banished our January glums with his “aloha.” Aloha means “hello” and “goodbye,” but if you’ve ever visited Hawaii you know that aloha extends far beyond greetings—it is a way of life. The dictionary defines aloha as “friendly,” “hospitable,” and “welcoming.” These are three words that can certainly be applied to the environment that Professor Wack created for his students in his patent prosecution class. 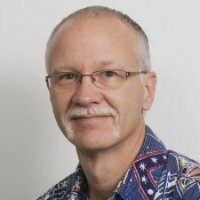 Mike Wack epitomizeed aloha by wearing one of his forty-six Hawaiian shirts each week to class. Professor Wack’s spirit of aloha went far beyond his shirts, though. Each Monday afternoon the MSPL students were greeted with Professor Wack’s laid-back, conversational approach to learning how to prosecute patents. Professor Wack is an incredibly astute engineer and patent law professional; he is detail-oriented, grades tough but fair, and has high expectations for his students. Attending his class, though, was a lot of fun. He took time to answer every question thoroughly and concisely. When it snowed twelve inches in one day last November, Mike Wack still wore a Hawaiian shirt to class. It’s nice to know that even though there may be a blizzard outside, we have professors like Mike Wack. Mike’s aloha has inspired us to learn. He has deep roots in the Notre Dame system and is part of a truly fascinating legacy with the University. The following is a brief discussion with Professor Wack, who you will see, is a pretty cool guy with aloha spirit that is quite contagious. Please discuss your background. You are a teacher, engineer, and a licensed, practicing patent agent—why did you choose this particular career path? I began a career in medical device product development as soon as I got out of graduate school, and did that for twenty-one years. It was a fantastic, rewarding occupation … I was able to design and develop devices and instruments used on many individuals. During that time, I became very interested in the intellectual property side of things and I took it as a challenge to design around competitive IP. I was able to take and pass the Patent Bar Exam, and then find a position in the same industry as a patent agent. I can still work with and mentor development engineers, while at the same time protecting our intellectual property. The best of both worlds! Please discuss your associations with the University of Notre Dame and why you decided to teach patent prosecution at this university. I have a very long association with ND! My great-uncle, Fr. Ed Keller, was a world-famous economist who taught there. My grandfather lived where Eddy Commons is now (at one time Knute Rockne lived across the street), and taught German there. My father graduated from there in 1950, along with a brother and several uncles, cousins, nieces and nephews. Two of my brothers are Holy Cross priests and attended the seminary there. And finally, two of my children currently are undergraduates there. I grew up in South Bend, and spent a lot of time on campus. True story: I came very close to being born in the stadium during a home game. Notre Dame is in my DNA! My son saw a flyer about the MSPL program in his e-mail, and forwarded it to me. I immediately contacted Karen Deak, and we got it worked out. It is really a dream for me to be able to teach at Notre Dame and follow in my relatives’ footsteps. What surprises you about patent law? I guess the biggest surprise to me is how important every single word can be in a patent application. Each word’s meaning can be argued throughout the prosecution, and then again post-issuance. It makes me be really vigilant when I handle applications! You often times stress to your students the importance of preparing for the USPTO Examination, commonly known as the “patent bar.” Please recount your personal experience with this test. The first time I took the Examination, I was really confident and told my wife during the lunch break how well I thought I was doing. After I finished the afternoon session, I couldn’t believe I had scored a 64 and therefore did not pass! When I called my wife on the way home, at first she didn’t believe me. Then, she hurried outside to pick up the “Congratulation!” signs from the front yard and cancel her planned celebration (she told me this later). I was initially pretty discouraged, but I studied for several weeks and then re-took and passed the Exam. By the time I was finished studying, I’m pretty sure most of my children knew what a 102 rejection was! What is the most important piece of advice that you would give to a newly licensed patent agent or attorney? Look outside the art field of the invention! I have found a lot of relevant art in fields that on the surface appeared to have nothing to do with what I was searching. It is also a good way to help development engineers find ideas if they are stuck. In your opinion, what is your greatest accomplishment in your career thus far? Strangely enough, the first two years and my last two years. The first two years I developed custom implants for people with serious bone deficiencies or deformities, and it was extremely rewarding for me to be able to help them lead pain-free and functional lives. In my last two years I hope I have been able to not only teach students patent law, but also pass on some of my “life’s lessons” and help them become better people as well. Please discuss your personal “fashion” choices. What’s next for you; will you continue to teach as well as practice at Biomet, Inc.? I hope to continue teaching the MSPL Patent law & Prosecution class. As far as my “other” life, I hope to continue to work as a patent agent for Biomet since I love working with medical devices. I am also starting a patent searching business (Blue Jay IP, LLC) with the eventual goal of doing that full-time. Finally, my wife and I want to be involved with as many philanthropic activities as possible: God has blessed us immeasurably, and we want to help others share in our fortunes! After a few short weeks off, winter break is finally over in the MSPL. My break largely consisted of working around the house, installing countless car parts in the frigid Wisconsin weather and enjoying time with my friends and family. Of course, I spent some time studying for the patent bar but largely this break was about focusing on what really matters to me. I learned recently that we often forget to take time for the little things in life and I knew there wouldn’t be much time for them this semester. That’s because the final semester in the MSPL is jam packed with patented filled fun by featuring a follow-on class in patent law and prosecution, a specialized patent prosecution class, an ethics class, the second half of the capstone project and an elective class. Just like last semester a major theme of the coursework in the MSPL is preparation for success in the real world. In addition to coursework, students in the MSPL are diligently working through the PLI patent bar study kits provided by Notre Dame. These kits include both physical literature and access to a multitude of comprehensive video lectures by PLI professionals. The kits even include practice patent bar questions that students can work through once they feel confident in a particular area. The second semester will also include trips for the students to both California and to Washington D.C. These trips are focused on exposing the students to different types of careers and work environments that they may be interested in pursuing after graduation. As has been mentioned in a few past posts there are many different career options that MSPL graduates can pursue. Like last semester there will be many guest lectures hosted by prominent patent professionals in which they will give us practical insight into these career options as well. These guest lectures also serve to compliment the coursework of the MSPL by delving further into specific topics than would otherwise be possible. For example, a patent practitioner from the intellectual property merchant bank Ocean Tomo will be giving a lecture on intellectual property valuation, a topic that we simply don’t have the time to expand upon within the framework of the MSPL. As you may have heard, my Green Bay Packers, and I say mine because I am an owner, have advanced in glorious fashion to the NFC Championship game in Seattle. For those who saw the Divisional game against the Dallas Cowboys you undoubtedly noticed the controversy over the potential game turning catch by Cowboys’ wide receiver Dez Bryant with around four minutes left in the game. While it was initially ruled a catch on the field, a challenge by the Packers forced the referees to enforce a rule that nullified the play. While many agree that the call was correct according to the current rules, few agree on whether the rules are proper to begin with. This is where the analogy to patent law comes in. Many familiar with patent law dislike many of the rules and standards they are held to. However, these individuals will be held to the rules whether they like them or not. If you aren’t a sports fan I apologize for always mentioning sports in my posts. I mainly do this because want readers to know I am a normal guy with a normal life outside of the MSPL (and because I love the Packers). As the bloggers have discussed numerous times, a thorough prior art search is pivotal to drafting a worthwhile patent application. During the fall semester, patent searcher Ron Kaminecki instructed the MSPL students in a course that focused solely on patent searching. 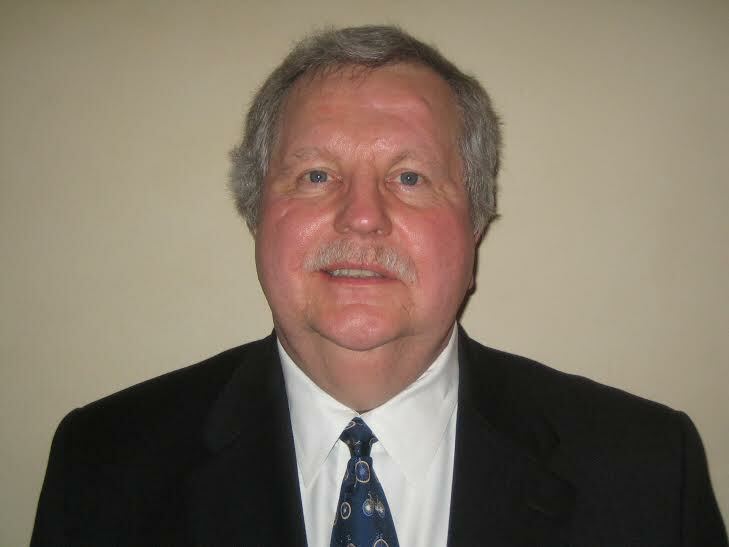 Ron is a wealth of knowledge and experience, and he uses that knowledge and his own personal connections to provide his students with the broadest possible exposure to the realm of patent databases. Ron also uses his experiences to provide real-life examples of what he teaches, which hold the attention of his students. After graduating from the Illinois Institute of Technology with a Bachelor’s degree in Chemistry, Ron began his career as a technical assistant chemist at the IIT Research Institute in Chicago where he did chemical information work, mostly concerning contract research. One of his first big jobs was to prove that trains can spontaneously catch fire; a task in which he succeeded and gained a passion for information searching. He transitioned into performing patent searches, and decided on a whim to get a Masters in Computer Science and then later take the patent bar exam. By the suggestion of his wife, he decided to take the LSAT and was later accepted into DePaul Law School, which he attended while also working as Manager of Patent Information at a drug company. Because of the law school’s newly formed department of intellectual property, Ron was one of the first graduates to receive a Certificate in Patent Law at the same time as a JD. Ron has spent his career as an independent Patent Information Researcher, assisting clients and leading courses in patent searching in all parts of the world. I asked Ron to answer a few questions for the blog, and the following is a brief overview of the fantastic stories and experiences that he shared with me. What do you like about patent searching? What brought you to be an adjunct professor at the University of Notre Dame? What do you like most about teaching a patent law course at the University of Notre Dame? You often spoke about your experiences in China. How did that shape your career in patent law? Do you get to travel outside of the country for your job? If you weren’t a patent searcher, what would you be? What is the greatest piece of advice that you would give to a beginning patent agent or attorney? 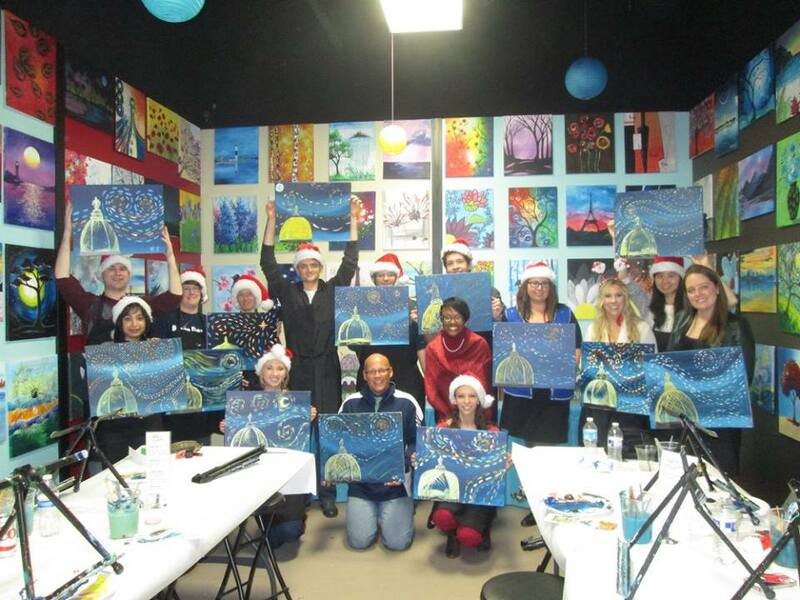 Members of the MSPL at Wine and Canvas for a fun holiday party! The European Patent Office (EPO) defines a patent family as “a set of either patent applications or publications taken in multiple countries to protect a single invention by a common inventor(s) and then patented in more than one country. A first application is made in one country – the priority – and is then extended to other offices.” This simply means that you can apply for a patent on one invention in one country and receive patents for the same invention in many countries. You can research patent families and tracespecific publications to the original patent application document. All the patent documents are related, hence the name “family.” The Master of Science in Patent Law program is a lot like one of these patent families. Each student in the program fulfills a certain niche. There are four doctoral degree students, two doctorates of law, and each MSPL member has an undergraduate degree in either the hard sciences or engineering. While we are all different, we also share quite a bit in common. We struggled to write claims during the first semester. We laughed at each other’s outlandish comments in class. We shared our worries and our frustrations. We became a family over the first semester of the program. The most important thing we each shared over the last four months is perhaps our friendships. Through our common experience of going through the program together we bonded in a very unique way. Just like your real family, sometimes you get impatient with your family members and sometimes you even get a little annoyed with them. But in the end, you are family and you stick together. Sure, we’ve gotten to do fun activities together like go to a baseball game and have a painting party. But it is the day to day experience of becoming patent practitioners that has strengthened our bond and brought us together. We are fortunate to have each other and have made a point to celebrate each MSPL member’s birthday outside the classroom. We are a family—a patent family.